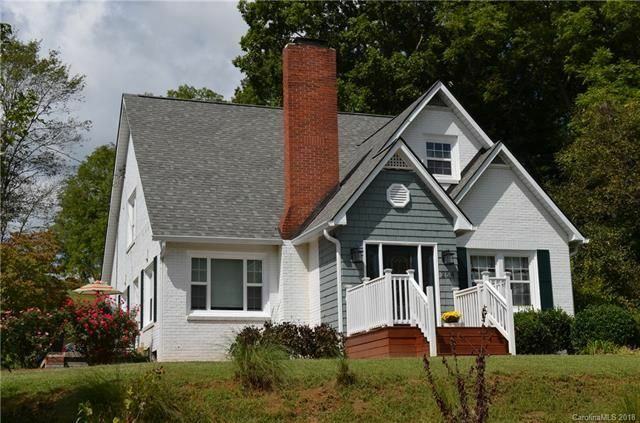 Beautifully maintained and updated traditional home. Original hardwood floors throughout. Updated farm kitchen with dining area. Large living room with lots of light and fireplace with gas insert. Upstairs bedrooms range from large to small and each one is unique. Numerous closets. Sweet sitting area at top of stairs and don't miss the 1/2 bath off the landing. Large back sunporch is not heated or included in square footage. Land is on both sides of the road. Double garage also has room above it that would be a great rec room, home business or even finish off as a vacation rental. Horse barn and some fenced pasture on house side of road. Fenced pasture on the other side of road has over a 1000 feet of frontage on Hominy Creek. Some flood plain on that side of road.